As the EU moves into the era of “smart mobility”, Dan Wolff wonders whatever happened to the idea of multimodal transport. Just because road freight innovates faster than other modes doesn’t mean policymakers should give up on multimodality, he argues. Dan Wolff is managing partner at Eurotran, an advisory firm specialised in EU transport policies. Laure Roux is a consultant at Eurotran. Back in 2001, the European Commission was all about modal shift from road to greener transport modes. In the 2010s, multimodality and intermodality (i.e. the combination and optimal use of various modes) became the new EU religion for transport. It seems that we are now moving to an era of smart mobility, regardless of how many modes are involved. Does the beginning of multi-speed Europe mean the end of multimodal transport? Rail freight struggles to remain competitive and continues to lose market shares. It suffers from remaining barriers to market entry and from the strong competition of heavy goods vehicles. While the EU average modal share of rail freight reaches 18%, the road sector still reigns supreme with 75% despite being responsible for over 70% of transport greenhouse gas emissions. This is far from the objective set by the 2011 White Paper on Transport, which called for shifting “30% of road freight over 300 km to multimodal transport by 2030, and more than 50% by 2050”. It certainly does not help deliver the Paris climate deal either. Why? One of the possible reasons is the lack of European Commission initiatives to make sure that multimodality becomes a reality. The main EU legal instrument that directly supports multimodal transport is the 23 year-old Combined Transport Directive. On the funding side, private investments will slowly but surely replace EU subsidies. This approach is definitely not adapted to railways where return on investment is uncertain, if not non-existent. Similarly, the long-awaited European Commission strategy on decarbonising the transport sector could have sent a strong signal in favour of rail, but the Commission chose to focus on the road sector instead. This legislative vacuum is difficult to understand, given the interest in multimodality that can be observed in the European Parliament. In January 2017, in their resolution on Logistics in the EU and multimodal transport in the new TEN-T corridors, MEPs called for multimodal transport solutions and pointed the key role of multimodality in freight logistics. 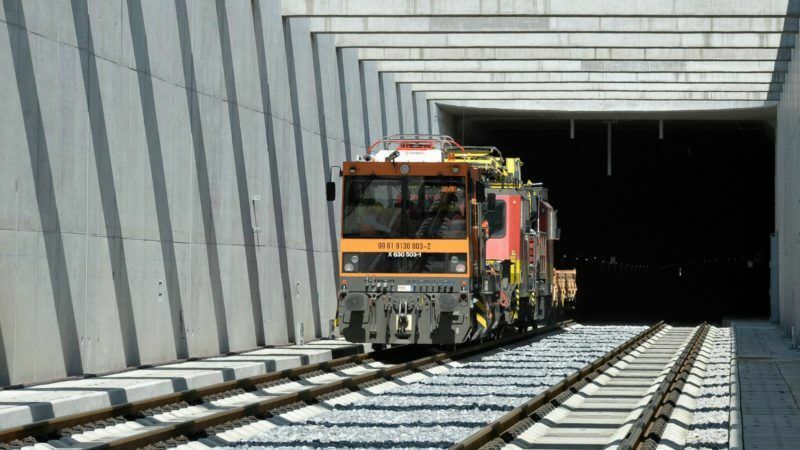 Some governments are also pushing for multimodal transport for instance through public funding schemes to boost the shift of freight traffic from road to rail. This is the case of the Italian scheme Ferrobonus, approved by the European Commission in November 2016. But let’s face it: a number of member states have also given up on a true support to rail freight, in particular to secondary lines. Multi-speed Europe could be worrying from that point of view if one considers that it would weaken the capacity of EU institutions to impose pro-rail measures on all member states. EU Commissioner for Transport, Violeta Bulc, is a true believer in decarbonisation through innovation. It is a fact that the “innovative” decarbonisation potential of the road sector is growing fast, and has already proved its worth. The first cross-border truck platooning trial was deemed a success. If new technologies empower the road sector to self-correct its negative externalities, the rationale behind multimodality would be severely dented. Policymakers should not give up on multimodality just because road innovates faster than other modes. However, the future of rail freight also lies in its own ability to innovate (interoperability, automation, signalling, noise mitigation…).